Travefy Professional is a software tool built for travel professionals to collaborate and create beautifully-branded quotes and itineraries for their clients. At Travefy, we love to hear how the software has brought success to travel businesses around the world. Below is Kristyn’s story, read how she gained back valuable time and has discovered a new and innovative way to organize and provide travel materials for her clients. 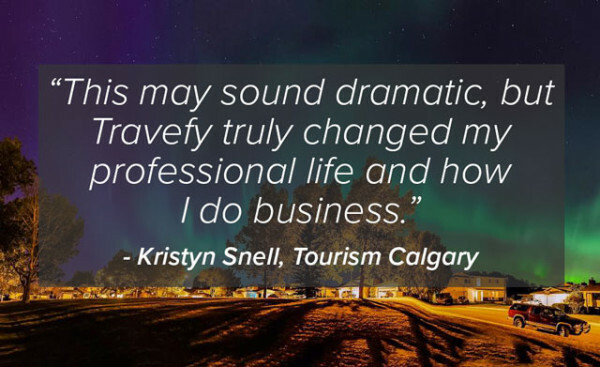 As a Destination Marketing Organization (DMO), Tourism Calgary works on multiple itineraries at once while also working closely with their Provincial Marketing Organization, Travel Alberta. 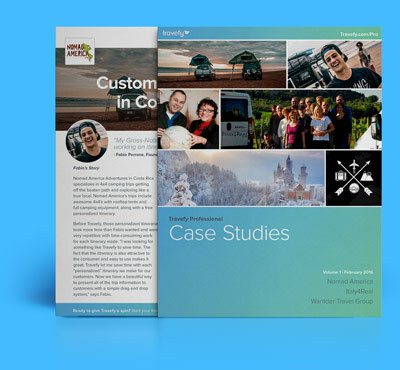 Finding a way to streamline the process and make itinerary building simpler and more creative was at the top of Kristyn Snell’s list. Kristyn is the Coordinator, Trade and Public Relations for Tourism Calgary and she gets the chance to welcome media and travel trade contacts to showcase and highlight Calgary as an amazing place to visit, as well as organizing the visit for them. “I felt like I was spending so much time fiddling with formatting on Microsoft Word that it was taking away from my creative flow and aesthetics and usability of the itinerary,” Kristyn says. Then she found Travefy Professional. “The technology available via Travefy is something we desperately needed, she added. “Working in tourism and with media folks, things constantly change. Travefy allows us to update and edit itineraries from anywhere,” said Kristyn. “This may sound dramatic, but Travefy truly changed my professional life and how I do business,” she says. Beyond simplifying the itinerary building process, Kristyn also loves the Trip Plans and Travefy Pro app. “Now I can check in on guest’s itineraries when I’m out of the office and communicate with them in real-time to make sure all of their needs are met.” She also enjoys the happiness Travefy has brought the team. “I feel like as a team we have more opportunities to look forward to because Travefy has taken so much work off our plates,” Kristyn concludes.